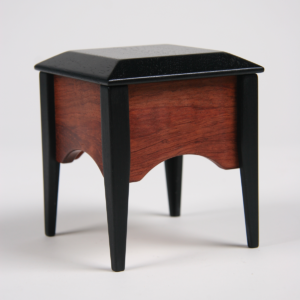 Mark Rehmar makes the “Cadillac” of jewelry boxes. Much of his wood comes from local Oregon species that were specially milled for his use. 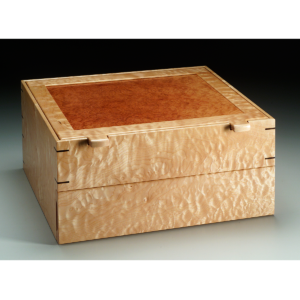 Truly outstanding workmanship and design make his heirloom-quality boxes sought after by collectors. Each box has been crafted with great attention to detail. No wood filler or other “short cuts” are used. 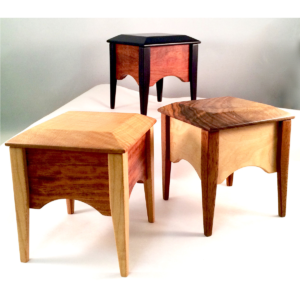 All the joinery and detailing must meet high standards before any object leaves Mark’s studio.